The BMTC meets once per month on Saturdays during the school year at Harvard University. Each math exploration session begins at 10 and goes to about 12:30 followed by a catered lunch with a chance for participants to talk about teaching. The group meets in Harvard’s Science Center building (please see the campus map at https://map.harvard.edu/ to find the building – it’s marked “Science Center” – at the corner where Oxford and Kirkland Streets meet – about a five minute walk from the Harvard Square T stop). For examples of what the group has worked on in the past, a session with Selim Tezel last year featured some amazing visual multiplication tables (please see a picture of the art that was produced during the session by participants under the Math Art! link). If you haven’t joined in the math fun by making it to a session yet, then this is the time to do it – we’re always welcoming new folks, and the more minds to help the group learn together, the better! We model math as a social event, learning from each other, and enjoying sharing our ideas, and thoughts about teaching with each other. Come and be a part of this, and bring a colleague! 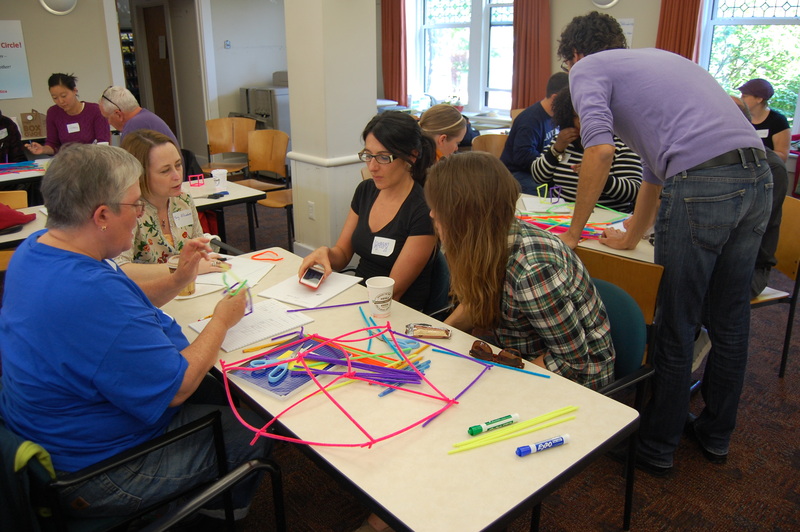 In our monthly Boston Math Teachers’ Circle meetings you’ll get a chance to work together on intriguing math problems alongside mathematicians from local universities. Problems for our sessions are typically chosen by the whole group – we start off by thinking about a particular situation, and then explore mathematical connections and see where it leads us! Participating in the BMTC puts the Common Core’s Mathematical Practices into action, such as “Make sense of problems and persevere in solving them,” “Reason abstractly,” and “Construct viable arguments.” Experiencing these first-hand gives you the chance to discuss with other teachers and mathematicians how to develop these practices in your own students. Cost: Free! 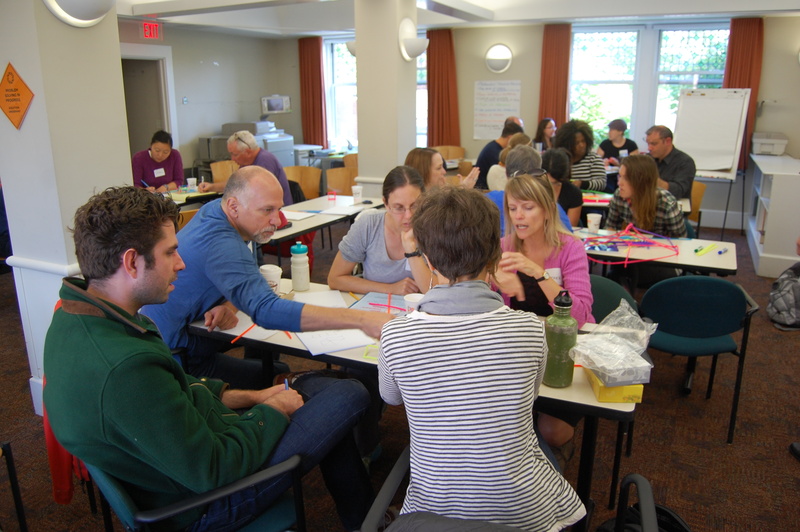 The Boston Math Teachers’ Circle is fully funded by the Educational Advancement Foundation and sponsored by Harvard’s Math for Teaching program and the American Institute for Mathematics (AIM). 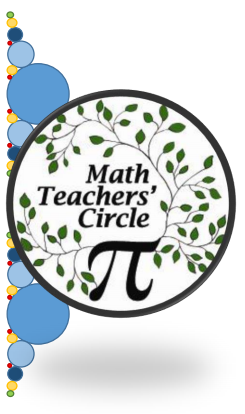 PDP’s: professional development points for participating in the Boston Math Teachers’ Circle are available – please contact us for details.